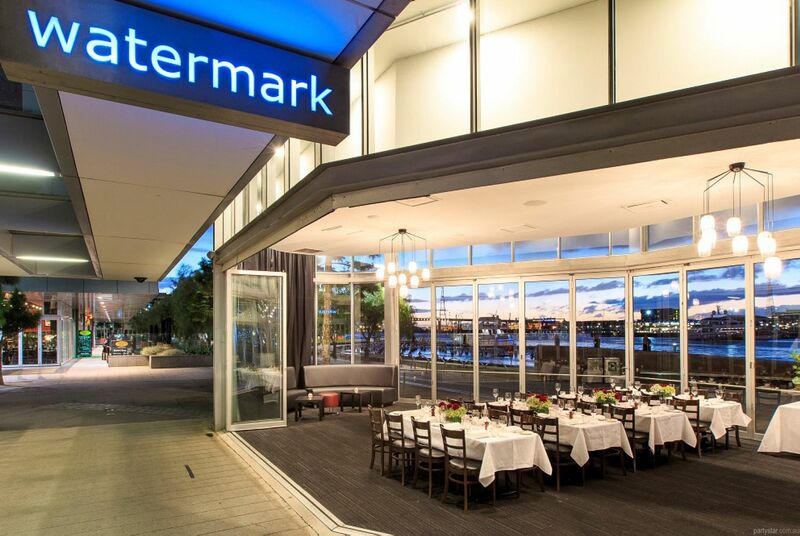 Ideally located by the water's edge, Watermark's Pavilion is a glass-encased space comprised of a series of retractable, floor-to-ceiling windows, leading onto the expansive outdoor decking. It's a breathtaking setting for a party. 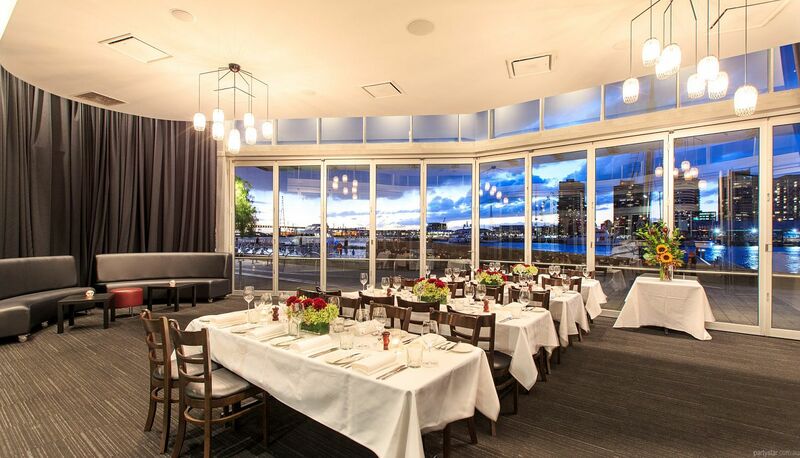 The high ceilings, architectural sail boat shape of the room and 230˚ panoramic harbour views, leave guests feeling as though they are drifting gently across the water while celebrating. The twinkling city skyline and spectacular golden sunset over the Bolte Bridge, are the icing on the cake. The Pavilion's gleaming private bar ensures your guests receive the highest-level of personal service. Meanwhile house made party food will be delivered fresh to your party. 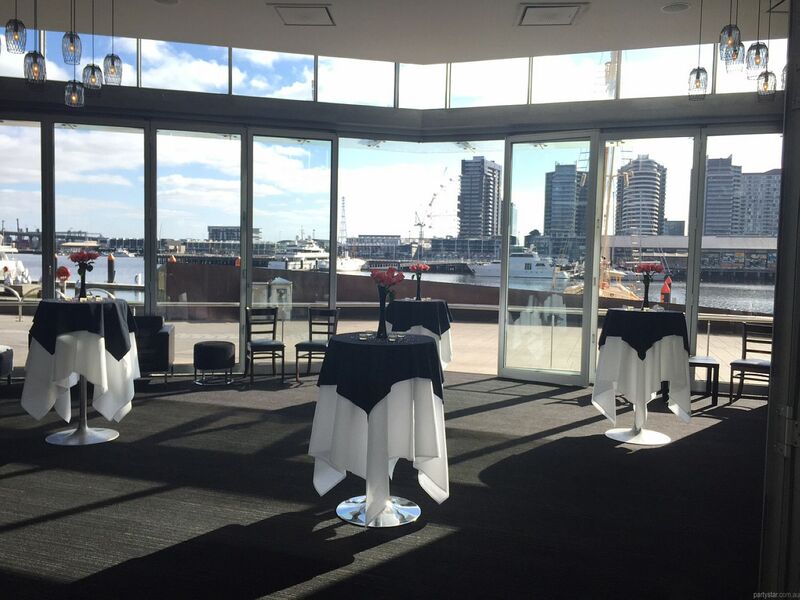 For events with a priority for privacy, the Pavilion's blockout curtains may be drawn closed. Smoking area: Outside on the street. Only for events with music above background level (90 decibels) or externally amplified music. This includes DJs and live bands. For events of 1-100 guests, security is $100 per hour for 2 guards. For events of 100-200 guests, security is $150 per hour or 3 guards. 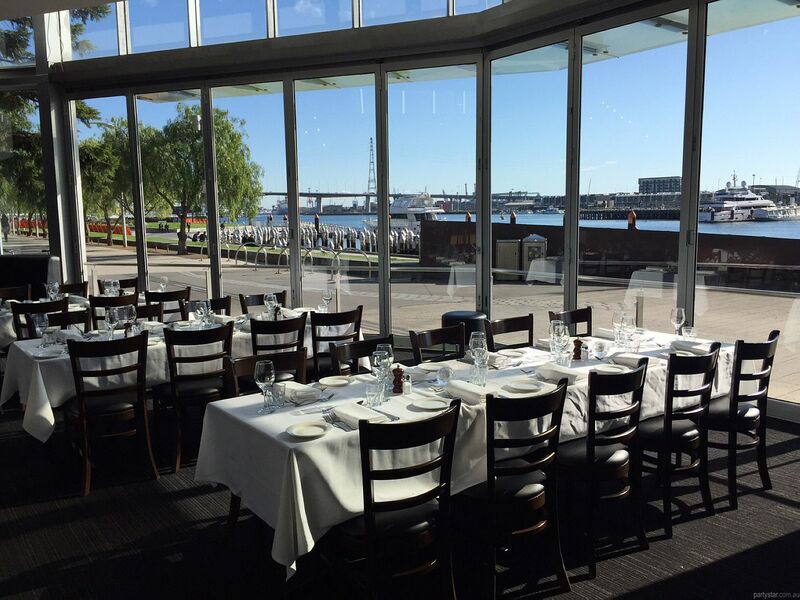 Discounts apply for Monday-Thursday functions, with minimum spends starting at $2000. Sunday events are $2500.